Home / Dog Blog / 7 Pet Photography Tips Every Dog-Parent Must Know About! 7 Pet Photography Tips Every Dog-Parent Must Know About! Experiment and you'll see results! Award-winning professional photographer Tamara Lackey, shows how to manage and click dogs!! 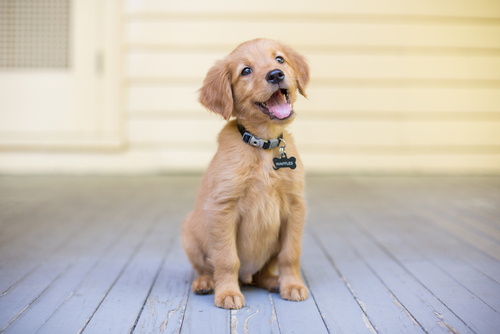 She shares more of her expert portrait photography tips as she wrangles two mischievous (but adorable) golden retriever puppies. This is very important. To get a decent perfect shot of your furry buddy, give him time. As they say, “Eyes are the Window to the Soul” and pets eye can be very expressive. So make sure to focus on your pet’s eyes and keep the tack sharp. The weekend is here! Grab your camera, dress up your pooch and get going! HAPPY CLICKING! Next Article How A Poor Golden Retriever Struggles To Befriend The New Baby!